I remember in my first film history class (some several lifetimes ago) being introduced to the filmmaker Howard Hawks by way of his great film ONLY ANGELS HAVE WINGS (1939). One of the distinguishing thematic marks of Hawks was how he treated death and human worth, as compared to the way John Ford did. Ford loved ritual (weddings, funerals, etc.) and formality (taking off one’s hat indoors, etc. ), whereas Hawks’ themes were much more existential and about the individual apart from social conventions and obligations. A pilot dies and what’s left of him are just a handful of belonging that get divided up among the other pilots. That’s it. No need for weeping or even remembering too much. For how harsh this might seem, it raises an interesting question of what we can really know about anyone from what physical objects they leave behind. The desire to know, and to sift through the objects of the deceased, intensifies if the individual in question was a genius artist. The following passage comes from Andrei Tarkovsky’s book “Sculpting in Time”, from Chapter 5: The film Image, in the section titled: Time, rhythm and editing. Tarkovsky goes on to describe Pascal Aubier’s fascinating 1974 short film Le Dormeur, in which there is only the camera moving through a landscape until it “discovers” a man who appears to be sleeping in a field but is actually dead. Here is a link to the film: Le Dormeur* Note: Since the audio is entirely of natural sounds, it is better to turn up the volume to get the full effect. I love these kinds of films. The camera work, especially for that time, is wonderful. We are so used these days with cameras moving all over the place. But in 1975 this had to have been done on tracks and dollies with a crane. (The Steadicam was invented in 1975 and was not widely available for some time after that.) The moment in the shot where the camera ascends up the dead tree is amazing. There is something really wonderful about this. I don’t know anything about Ms. Coppola, her family, or her working life, except just from watching her films and reading a bit on the Internet. But I like to imagine that her kids are welcome at her work. It seems this is not an original idea of Sofia’s. Much of the time, and for most of us, we cannot bring our kids to work. Although, perhaps it is a good idea to consider choosing vocations where family can more naturally be involved. 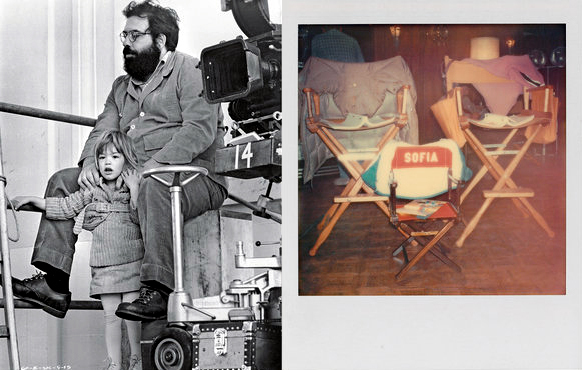 I love the way Francis Coppola involved his family as much as possible in his life and work, and set an example for his children. This may be the way things should be. You gotta keep in mind what’s interesting to you as an audience, not what’s fun to do as a writer. They can be v. different.